For many fans it was the last straw. It was bad enough that Luke’s duel with Kylo Ren on Crait was suddenly revealed to be an illusion. The sight of him fading away to nothing as his robes fluttered to the rock back on Ahch-To (mysterious missing metal hand notwithstanding) raised howls of protest and fury for a very vocal section of the fandom. New artwork has just revealed exactly what happened and opened up the tantalising news about the “larger world” the jedi master has gone on to. Fans on both sides of the backlash and boycott are agreed on one thing: everyone wants Luke back in the final film. After endless discussions of force ghosts, flashbacks and visions, a new Star Wars comicbook has just revealed where Luke has gone. The final sixth part of the Star Wars: The Last Jedi Adaptation gives a greater insight into Luke’s motivations and lets the iconic character finally tell everyone exactly what comes next. Written by Gary Whitta with Art by Michael Walsh, Issue #6 went on sale yesterday and contains the following incredible images. Luke says: “And so it ends as it began, by the light of two suns”, which its taken to be a reference to the image of two sunsets looping back to his youth on Tatooine. His thoughts are comparing the next stage of his existence to the change from Tatooine farmboy to jedi student. Now he is taking an equally huge step up to another plane. This confirms it is no ending and seems to expand any concepts of force ghosts. Yoda’s Last Jedi return already rewrote concepts of what is possible, since he physically interacted with Luke, rapping him on the forehead, and physically called down lightning to ignite the Force Tree. 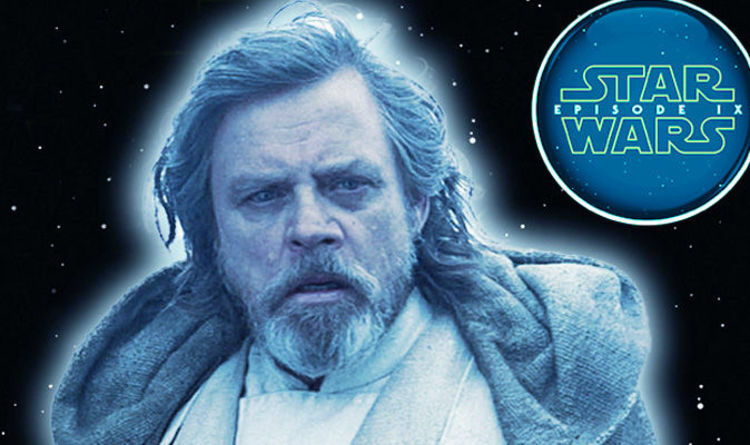 Any return by Luke in Episode 9 will not just be a flickering ghost of the past. Leaks have already revealed that Mark Hamill will sjhoot scenes at Pinewood with both Daisy Ridley and Adam Driver. What new knowledge will he heave learned in this “larger world” and what new powers might he display?